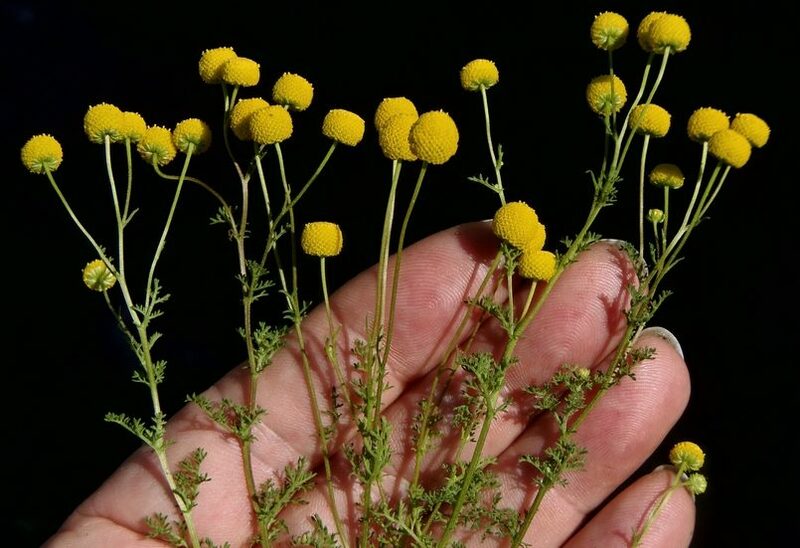 Oncosiphon piluliferum (globe chamomile) is a strongly-scented annual herb (family Asteraceae) with round yellow flowers and finely dissected leaves found in the south coast and desert ranges of Southern California. It is native to South Africa. It favors dunes and scrub and chaparral habitat. It spreads via seeds which travel through human activities and machinery.